Home > News > 9 of the Best Transportation Options in Washington, D.C.
Now that the Ithaca Tompkins Regional Airport (ITH) is implementing a new, non-stop service to Washington Dulles International Airport (IAD), we’re sure many of you are planning to visit the iconic city of Washington, D.C. and need to be in the loop of the best transportation options available. Getting from the Washington Dulles International Airport to the heart of D.C. is easy! The Metrorail, Metrobus, and DC Circulator all have quick and direct routes to and from the airport, making traveling around the city after your arrival incredibly easy. Taxis, Uber, Lyft, and rental car options are also all around the airport, so if you want private transportation to your hotel or final destination, these options make that simple. Whether you’re a student looking for a fun adventure, businessman looking for a break, or touring D.C., below are some of the most convenient and best ways to get around our nation’s capital. Public Transportation Options in Washington, D.C. 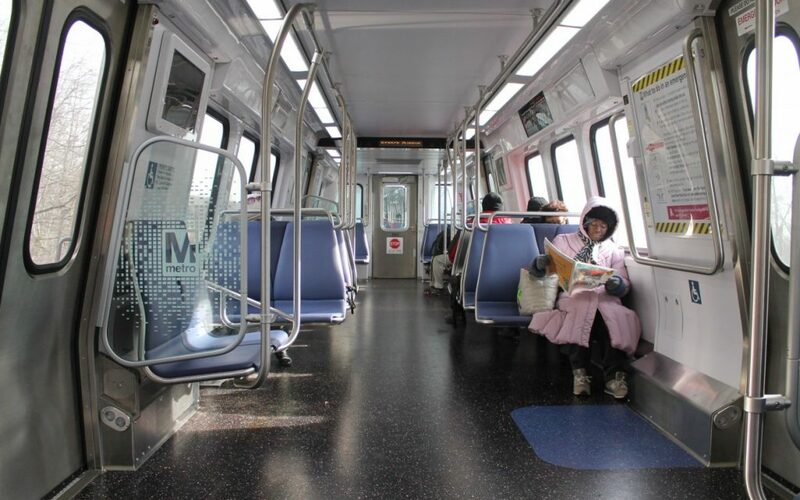 The Metrorail and Metrobus are the most convenient ways to get around D.C. Washington has one of the safest, cleanest, and most efficient transportation systems in the world. With hundreds of routes throughout the city, it is simple to check everything off your D.C. bucket list. Many popular hotels within the Washington area are located near the Metro stations and bus routes around the city, making it extremely easy to get around the city right, no matter where you’re staying. The Metrobus has more connections than the Metrorail, and they both operate from 5 a.m. to midnight on weekdays and from 7 a.m. to midnight on weekends. There are more than 1,400 buses using compressed natural gas or a hybrid electric drive system, helping keep D.C. eco-friendly. In 2016, there was a total of approximately 123,675,724 trips! The Metros can be paid for by getting a SmarTrip card, which allows you to load a designated amount on the card for repeated swiping, as well as cash. 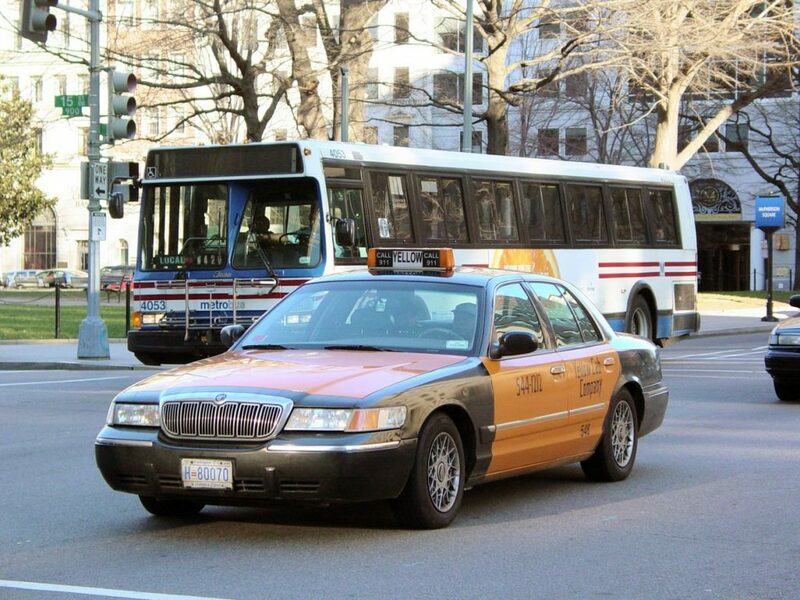 With more than 6,000 taxis servicing every day, service is plentiful and economical in Washington, D.C. Washington has one of the highest taxi-to-citizen ratios in the country! With the D.C. Taxi Rider app, you can choose from a regular, large, or wheelchair-accessible taxi, see a fare and time estimate before you hail the cab, and pay either through the app with a credit or debit card or in the vehicle with cash. Uber and Lyft are also plentiful within the city, and with the downloadable app, you can request a ride with the tap of a button. There’s no cash required for Uber or Lyft, and the tip is handled in the ride fare. 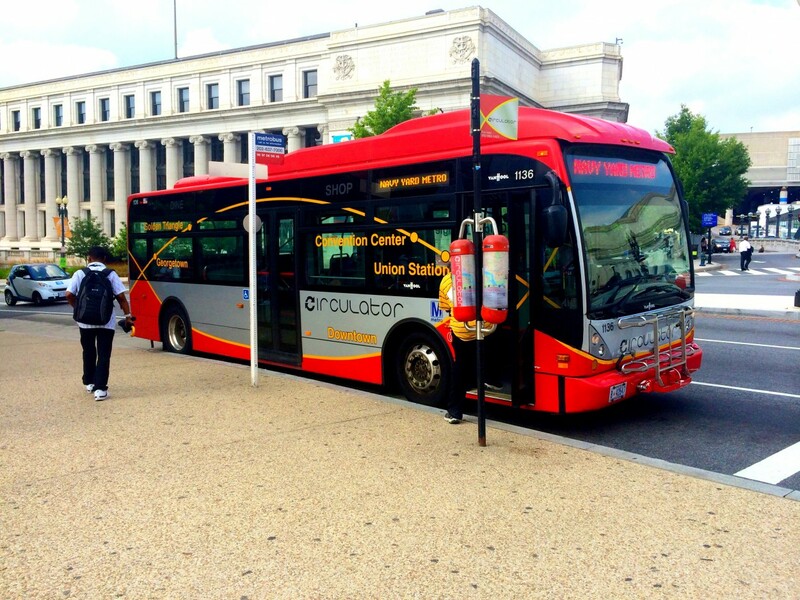 At just $1 per ride, the D.C. Circulator bus is an extremely affordable option to travel around the city. The Circulator navigates along six routes designed for easy-on, easy-off access at points of interest throughout D.C. Tourists can easily sightsee at locations like Adams Morgan, Dupont Circle, Georgetown, Woodley Park, U Street, and Capitol Hill. The Circular also connects to the National Mall route, which gives easy access to Washington’s monuments and memorials. Schedules are easily accessible online, and if you miss the first bus, you won’t have to wait any longer than 10 minutes for the next one! Rental cars are also easy to find throughout D.C. There are several companies at the Washington Dulles Airport, making it easy to get a car immediately after landing in Washington. Worried about where to keep your rental car? Most hotels have parking facilities for those who rent a car and visitors can also find street or garage parking with the ParkWhiz or SpotHero apps. These apps help drivers find parking, compare discounted rates, and reserve a spot for up to 50% off with convenient garages, lots, and valet stands. Washington is also a popular city to explore by foot, with wide sidewalks around the monuments and museums. Touring Capitol Hill takes around 90 minutes, making it a great way to get exercise within the city! 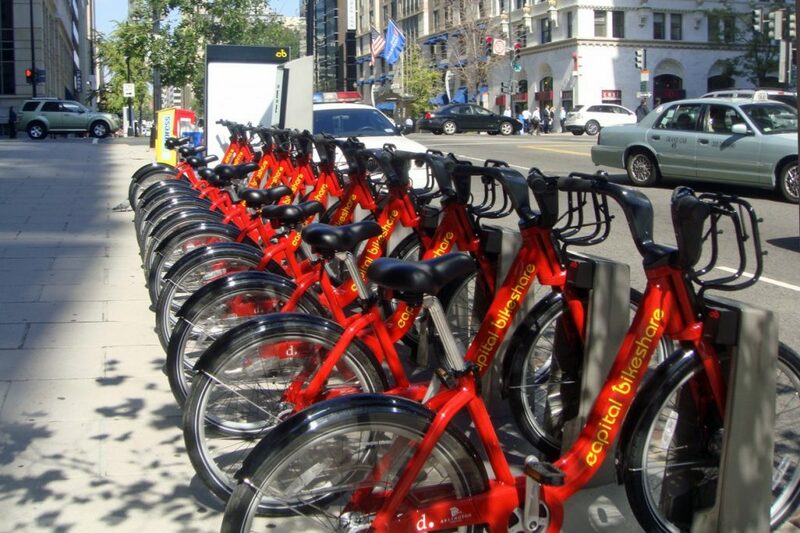 Biking is also common in D.C., with Capital Bikeshare having over 350 stations across the city. There are over 3,000 bicycles, which can be used with either a day or year-long membership. The first 30 minutes of each trip is free with each additional half hour incurring a fee. Overall, walking and biking is the least expensive option to get around D.C. So, now that you know how to travel around Washington, D.C. once you’re in the city, there’s no excuse not to plan a trip and explore! Break out a notebook, write down all the iconic monuments you want to see, and book your flight through United today!